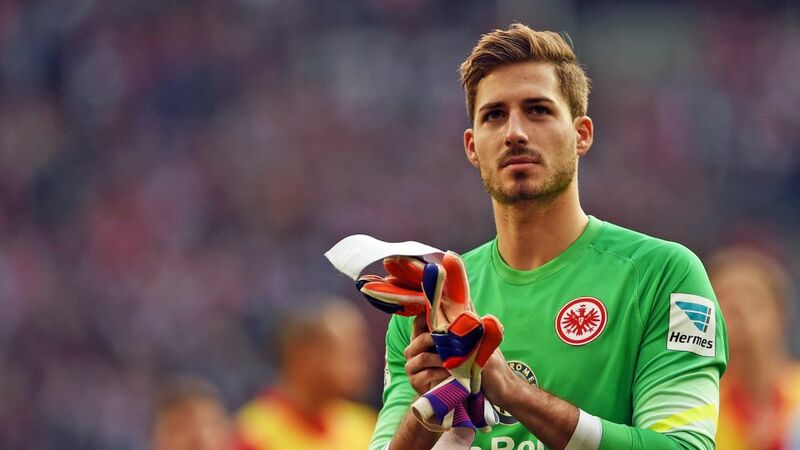 Eintracht Frankfurt have secured the return of Kevin Trapp to the club on a season-long loan three years after leaving for Paris Saint-Germain. Trapp, capped three times by Germany, re-joins Frankfurt in a deal that brings to an end a three year stint in the French capital that saw the 28-year-old lift no less than 10 trophies, including two Ligue 1 titles. Having made his professional debut with Kaiserslauten as an 18-year-old back in 2008, Trapp joined Frankfurt in 2012 and went on to make 82 Bundesliga appearances at the club. He also featured in their 2013-14 UEFA Europa League campaign that saw Frankfurt reach the last-32 stage of the competition. His impressive performances led to the Parisians calling for his services in 2015 and Trapp has since kept goal in 63 Ligue 1 matches and featured in two UEFA Champions League runs. The summer arrival of Italy legend Gianluigi Buffon and the emergence of Alphonse Areola meant Trapp’s game time would be limited at PSG this season, triggering his move back to Frankfurt. The Merzig native will be hoping a return home will also help him add to his three international caps having made his Germany debut in June 2017 and having gone on to be selected in Germany’s FIFA Confederations Cup winning squad later that year, as well as Joachim Löw’s 23-man World Cup squad in Russia this year. Trapp will compete with fellow summer signing Frederik Rönnow for the number one spot at the club with Jan Zimmerman, Felix Wiedwald and Tobias Stirl providing further competition in the Frankfurt net. Click here for more Eintracht Frankfurt news and features!